Many of you have heard the news and seen the pictures of houses and buildings destroyed by the violent storms in central Illinois two weeks ago. As residents begin to rebuild their lives, monetary donations, food and clothing are being collected to help the communities move forward. Volunteers are working alongside victims to help gather personal items from the wreckage. But what else has been lost in the tornadoes? Books. 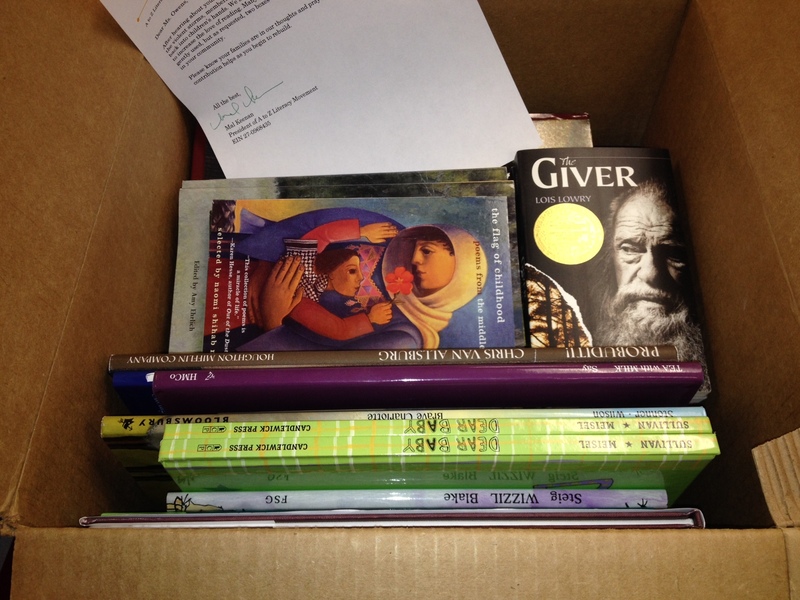 Last week, the call for new books was sent out to organizations like the Illinois Reading Council. 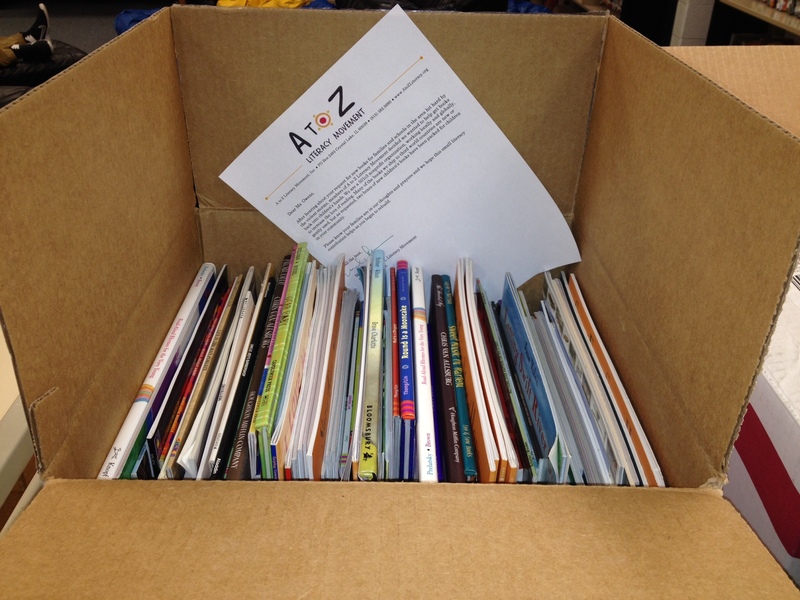 In keeping with our mission of getting books into children’s hands and helping those in need, A to Z Literacy Movement has prepared two boxes of new children’s books to be delivered to the Regional Superintendent of Tazewell County. Even though the donation is small, we know every little act of kindness helps. Helping one family or one group of students is a good place to start. Posted on November 26, 2013 by atozliteracy	• This entry was posted in Local Outreach and tagged books for kids, charity, mission, tornado relief, washington il. Bookmark the permalink.